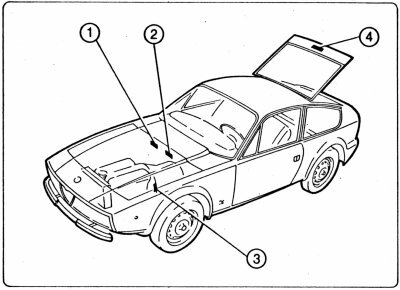 If you are not familiar with identification numbers, engine types and color charts and the whereabouts of the numbers this chapter is for you. Luigi Fusi ('Tutte le vetture Alfa Romeo dal 1910') and Michele Marchiano ('Le Zagato') are both reporting that 1108 units of the Junior Z 1300 have been manufactured. That would mean that the highest VIN is 1108. Fusi reports in his book that the highest number is 1110. An explanation could be that 1110 units have been manufactured but only 1108 have been sold because the second and fifth car out of the production batch were used for torsion testing. The 'Amsterdam Zagato Exchange' on-line register however is listing two cars with the numbers 1116 respectively 1117. So it might be that certain VINs were not used by the factory. The VIN starts in every 1300 Junior Z with AR*180 followed by: number*. The VIN in my car looks like this AR*1800985*. Hence my car is number 985 produced. The VIN starts in every 1600 Junior Z with AR*3060 followed by: number*. A total of 402 cars have been manufactured therefore AR*3060402* should be the last valid VIN. 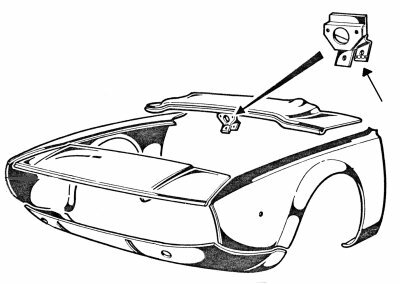 Alfa Romeo homologated the type Junior Zagato 1300 with FIA 1st of October 1970. In order to receive homologation a series of 500 identical cars must have been produced to the date of homologation. However in most cases this remains theory because a lot of manufacturers are cheating. Homologation is of importance for race and rally events because all technical details are listed in the homologation and cars attending racing events have to conform with the homologation. You can identify the type number on the plate. This number is an Alfa Romeo internal number to distinguish between the different car models in the production range. The number is embossed at the engine-flange underneath the exhaust collectors and therefore relatively difficult to read. Zagatos were equipped ex factory with either 1300 ccm engine or 1600 ccm engine (number 1 or 2 in the table below). 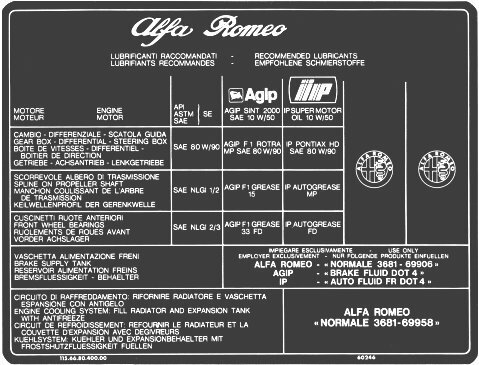 There were at least two more engine types available in other Alfa Romeo models (I do neglect the GTA-engines in this circumstance). How can you identify the engine in your car since the appearance of all Alfa Romeo four cylinder in line engines is very beautiful but also very similar? Well you can actually choose: Apart from the engine number there are marks in the casting of the cylinder-head and different distances between headgasket and waterpump. Some Zagatos are equipped with the non-standard 2000ccm engine which makes the car very sporty and agile. However you should make sure that not only engine but also 2000-type transmission and rear axle have been built into the car and that the front brakes are equipped with the larger brake calipers. 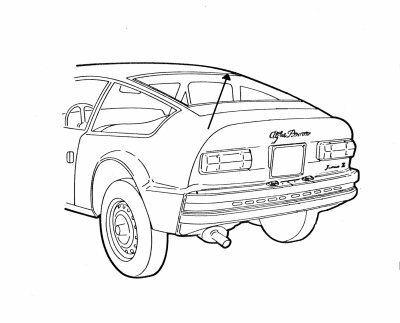 This sticker comes out of an Alfetta sprayed in 'Chiaro metallic' (two coats), color code AR762. There are quite some discussions about original colors available ex factory for the Junior Z.
I have a color-chart (Attention, file size 234.568 bytes!) published by Alfa Romeo, showing color samples for Junior Zagato 1300 and Montreal. 'More numbers ?!' You most probably ask doubting. The answer is 'yes there are more numbers' and they are nearly all the same having something to do with the sequence of production of the cars: The welding of the bodywork took place on specially built jigs in Torino. The whole production process required intensive manual work and it was possible to fit doors and hoods to the optimum. During spraying in the Zagato factory in Terrazzano di Rho doors and hoods were not mounted to the remaining bodywork. To identify the bodywork belonging to the doors and hoods Zagato used the last digits of the VIN. Embossed on the inner part of the door-frame you can see the number after dismantling the door cover and the moisture protection plastic foil. Positioned on the lower mounting-plate for the panel, underneath the locking-mechanism. 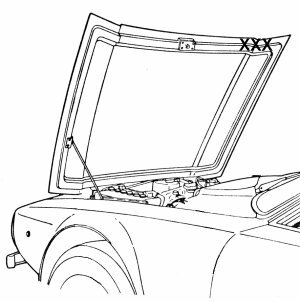 The number can be found in the upper right corner after opening the engine hood. 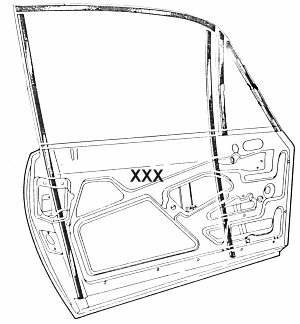 The number is hidden by the rear window rubber seal and can only be seen when the window and seal are taken out of the rear hood. Apart from the last digits there is another number embossed. It's situated on the right C-column and reads: 10593 BOM 7249 OM. 10593 is the internal code for the Junior Zagato 1300 and 7249 is the homologation number.